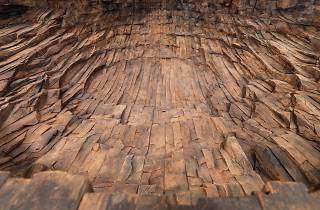 Photograph: Courtesy Ursula von Rydingsvard/Galerie Lelong & Co. 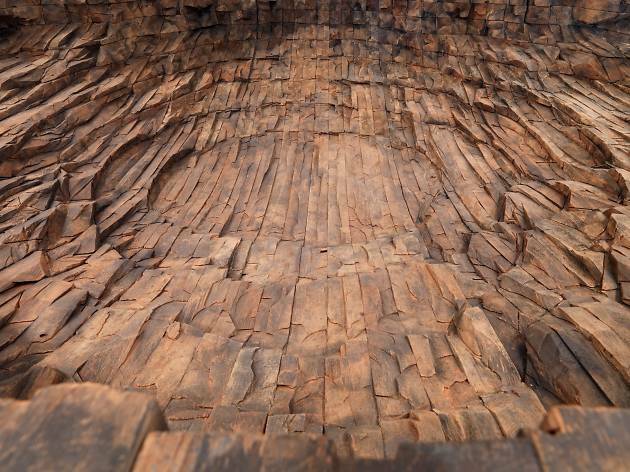 Internationally celebrated sculptor Ursula von Rydingsvard usually makes her monumental abstract sculptures out of wood, with occasional exceptions, such as her remarkable 12,000-pound bronze works. In her second collaboration with the Fabric Workshop and Museum, the artist will exhibit large-scale works such as Ocean Floor, a 36-by-156-by-132-inch piece made of cedar, graphite, and intestines. If you like what you see, the exhibition coincides with a display of von Rydingsvard’s work at the Philadelphia Museum of Art sculpture garden, which also opens on April 27.